Whether you’re still of the youthful mindset that erroneously believes, as most of us did at one time, that the aging process will never happen for you, or you’re older and wiser, with all the aches, pains and sleepless nights to prove it, one thing is certain: You need a good night’s sleep. Medical science is shedding more and more light on the truth of how vital nighttime sleep is to our overall health. With links to diabetes, depression, epilepsy, and even cancer, insomnia is no laughing matter. Although, for some people, the idea of investing in a quality mattress comes across as extravagant luxury, the truth is that achieving a restful night’s sleep can pay back immeasurable health dividends that more than recoup the cost of the mattress. Although there’s a lot to be said for the thrifty mindset that says, “Use it up, wear it out, make it do, or do without,” neglecting the condition of your mattress for decades on end isn’t as financially savvy as you might think. Grumpy mornings spent enduring the ones you love simply because a poor night’s sleep makes them unbearable, back problems that make simple tasks unthinkable, and insomnia issues that introduce serious health risks can all be avoided by investing in a mattress that will perform well for many years to come. So, how does one go about selecting the perfect mattress to prevent all these problems? That’s what you’re about to discover. Understand, though; just as each of us were created with unique builds and body types, each of us also have adopted different sleep habits that will affect which mattress types suit us best. Although you’ll want to try out different mattresses to get an idea what you prefer, here is what you should know before you ever hit the stores. If you’ve spent any time at all shopping for a mattress, it’s likely you’ve come away with more questions than answers. Is memory foam really worth the extra price? Are innerspring mattresses going to hold up over the long haul? What happens when an air mattress or waterbed springs a leak? Here are the things you should know about each type of mattress so that your trip to the store isn’t a waste of time. Memory foam is designed to provide relief for those who suffer from aches and pains resulting from pressure points. It also provides a warm night’s sleep, since the memory foam works by responding to the body’s heat to gradually conform to the body’s natural contour. When you’re shopping, you might be surprised to sit on the highly acclaimed, uber-expensive memory foam and find that it lacks that luxurious, plush feel. Although the first impression may be less than spectacular, it’s important to remember that memory foam is like marriage – it’s unfair to judge it before it’s had time to perform. Since memory foam does respond to body heat, you should know that lower-end varieties that lack temperature control can keep things toasty. If you have a hard time staying cool at night, this is a major concern. On the other hand, if your feet have a hard time warming up and you don’t like electric blankets, you should definitely consider memory foam. 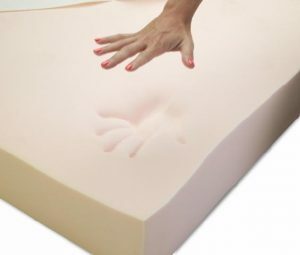 Another important consideration is the fact that memory foam is designed to conform to the shape of your body, and if you tend to change sleeping positions throughout the night, memory foam may be decidedly uncomfortable. Although it does provide excellent support and comfort for many people, don’t assume that the higher price tag automatically means it’s right for you. If you’re a fan of comfy, jump-on-the-bed bounce, you’re probably going to want to head for the innerspring mattresses. These mattresses can vary from plush to firm, thus accommodating everyone from preschoolers moving to their first “big kid” beds to the 250-plus-pound crowd. The quality of innerspring mattresses vary dramatically. Thin, compressible coils make for a great child’s bed. Not only are they lightweight, affordable, and soft, but they also offer that delightful springiness that will make it oh-so-tempting to jump on the bed. Thicker coils make for a much firmer surface – perfect for heavier types as well as those who prefer to sleep on their stomachs. After all, who wants to sink face first into suffocating softness night after night? 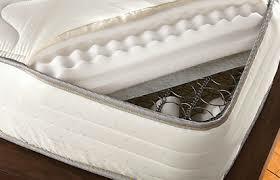 Latex mattresses are a good compromise between memory foam and innerspring mattresses. Bouncy yet firm, latex mattresses are available crafted from either all-natural latex, which is much more expensive yet provides natural protection against dust mites and allergens, or synthetic latex is available for a more affordable option. Although air mattresses can be great when used as a temporary guest accommodation, most people will prefer the durability of a standard mattress. That said, some of the most cutting-edge mattresses are designed as dual air chamber mattresses that are definitely appropriate for long-term use. These mattresses are perfect for couples that require vastly different sleeping conditions. When you get to the store, there are a few things you’ll want to keep in mind to avoid unpleasant discoveries after you get your new mattress home. For some people, a mattress alone may not yield you the comfort you were hoping it would. Make sure you find out whether the mattress you have will work on your floor, bunk bed slats, or on your current box springs before you settle on a mattress that’s going to require brand new box springs. Will your mattress require a plush cover to achieve the luxurious feel of the beds on the showroom floor? Will you need an antimicrobial mattress protector, or will your mattress repel dust mites and allergens? Make sure to be aware of all the “extras” you’ll need to make your new mattress function optimally. Remember, floor model mattresses aren’t exactly brand new. They’ve had scores of people breaking them in over time. For this reason, your truly brand new mattress may feel quite a bit less comfortable than the same model you tried out at the store. If this is the case, give it a month or two before you fear you’ve been sold a cheap replica of the real thing. Mattresses can take some time to break in, so don’t despair if your new mattress feels, well, new. Just because your mattress comes with a warranty, don’t assume that you’ll be repaid for any issue that arises over the lifetime of your product. 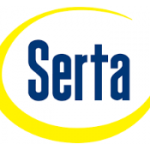 Many warranties only cover defects in workmanship that appear within a relatively short period of time. Not only that, but it’s also dangerously easy to void the terms of your warranty by simple blunders, so make sure you read any warranty information carefully to avoid disappointments later. If you’re of the mindset that you can’t shop for mattresses online, you might be pleasantly surprised. While you’ll never get a better idea what you’re getting than at a local retailer, if you have need of a special order that your local retailer doesn’t carry, why not order it for yourself online? You might find some great deals, and you’d be surprised at the engineering many online retailers have developed to make shipping a hassle-free process. Finally, before you settle on a mattress based on a price tag, online review, or brand reputation, keep in mind what type mattress you’ll probably enjoy based on your sleeping preference. If you’re a stomach sleeper, chances are it’s because you haven’t been able to get comfortable on your back or side. If you had an extra hard bed, that could be the reason you’ve resorted to sleeping on your stomach; it’s possible a softer bed could make it easier for you to get a good night’s sleep on your side. 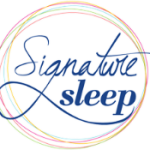 Still, many stomach sleepers achieve an incredibly sound sleep thanks to the security stomach sleeping provides. If you tend to sleep on your back, chances are your sleeping preferences will allow for a broader range of mattress strengths. Remember, though, that back sleepers are more inclined to experience breathing and snoring problems, and if you’re pregnant, you really shouldn’t sleep on your back during the last two trimesters to allow blood flow to reach your baby through the night. If you’re a side sleeper, be thankful; you have the healthiest sleeping position of all. Unfortunately, you may require a softer bed than other sleepers, but as long as you know that as you begin shopping, you should have an easy time narrowing down your choices. If you know you will only be comfortable on your stomach, you’ll probably prefer a firm mattress. If, on the other hand, you think you might sleep just as well on your side, you might want to try a softer mattress and see if that gives you the sleep you’ve been seeking. It’s true that the sleep of a laboring man is sweet. 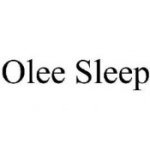 After you’ve taken the time to research all your mattress options and settle on just the right one, you can look forward to a peaceful night’s sleep that makes it worth every cent.